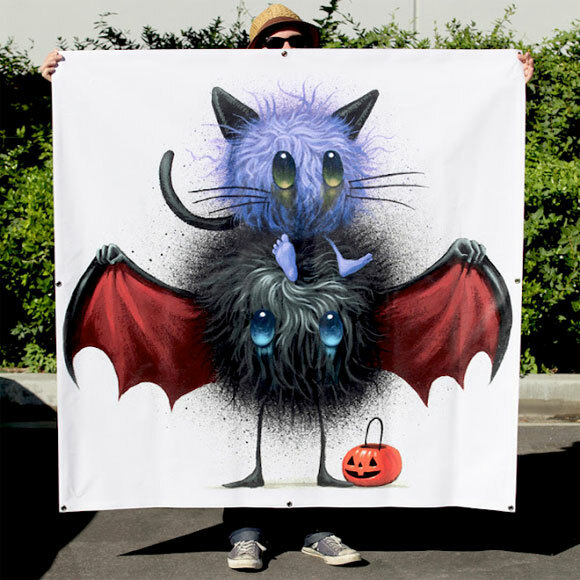 For those seeking a little creative treat this Halloween season, Jeff Soto has got you covered! 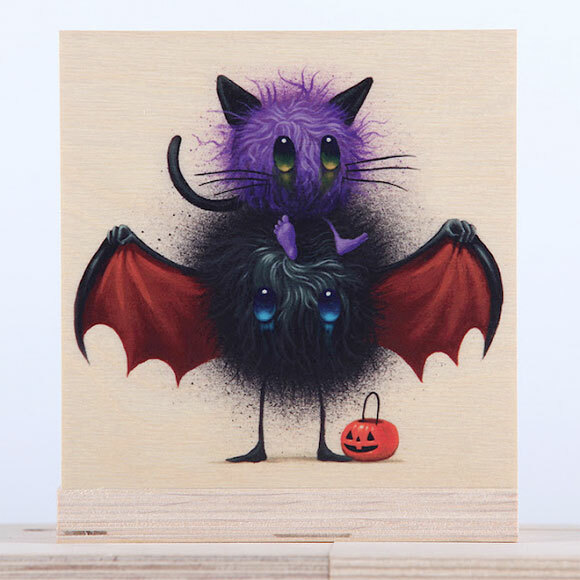 The famed Kidrobot Black artist will be releasing a new 6 x 6-inch wood print called “The Candy Eaters” tomorrow, Thursday, October 4 at noon PST for $25 +s/h. Recreated from his original painting, The Candy Eaters is the 7th edition in his ongoing Seeker Friends series and was inspired by Jeff’s 2 daughters and his personal love for Halloween. 1. Go to www.allvinylbanners.com and “Like” the page sometime between Thursday October 4, noon (PST) to Friday October 5th, noon (PST). You’ll be automatically entered. Two people will be chosen randomly to win. AllVinylBanners.com is partnered with Prints On Wood for the contest! 2. Instagram– Jeff aka @jeffsotoart wants to see where your Seeker Friends live! Post your photos featuring the Seeker Friends to Instagram sometime between Thursday October 4, noon (PST) to Friday October 5, noon (PST). Use the hashtag #seekerfriends and Jeff will pick his two favorite photos.